I don't want to seem like a snob. I probably am. I just don't want to appear that way. I have nothing against entertainment in general. Who does? But I'm also a lover of the arts. And by arts I mean music and literature, and by literature I really mean good books in general. For those of you not familiar with my take on art, I differentiate it from entertainment. Example, Lady Gaga is a performer. She wears costumes; she dances; she tries to sing. But she's an entertainer. Or as I like to think of her: a hot dog: more preservatives than meat. The irony may be that she’s worn it. Her image is everything – attitude, choreography, flipping off media at a ball game, etc. She’s imaginative and bold, and something can be said for those who succeed in that field, though not much. But I don't consider her an artist per se. I mean, while her sub-field is music, she's not a musician. Which is just as well since most consumers aren’t concerned with music in general anyway. This might help explain why she and others like her are so successful. They realise that the paying public doesn't care for galleries and symphony enmass. Apart from romantic comedies and the occasional indie film, we tend to pay to see movies whose bzillion dollar budgets go to special effects, not story. Successful film makers often use sequels to draw in audiences, not necessarily actors' performances or a solid script. But this isn’t a condemnation of the general public and their apathy with the arts. I certainly don’t want to give the impression that I find the unwashed masses beyond redemption. Maybe as a society we’re oversaturated with art to the point of inoculation. Maybe Shakespeare was right, that there’s nothing new under the sun, or that nothing new gets noticed anymore unless it's designed to shock us. If so, then maybe those artists’ motivations are wrong. This might explain the end result, though, at least in some cases, such as Transformers, the Piss Christ, or Lady Gaga. While art sometimes serves as a springboard for social commentary and the like -- a vehicle for improving one's mind or providing insight -- its purpose should be to evoke. It should never be used to bang the audience over the head with some view the author holds dear. Sure, much of this is subjective. In fact, it could be argued that there's an audience for everything. Art be damned. That sort of thing. After all, if you find Adele dull and Madonna brilliant, it won’t matter to you whether one can sing and the other can’t. If you know all P Daddy’s Hip Hop by heart and have never heard a single work by Chopin, who am I to judge? So what if some awful writer finds fame and fortune while great works remain unread by most. Welcome to the real world, right? I get it. But I’m still allowed to hoot and holler and demand justice – at least the poetic kind. 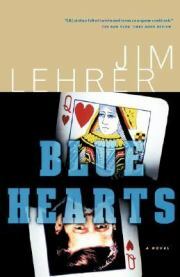 Blue Hearts by Jim Lehrer is a different novel altogether. This story is all about getting our characters from point A to point B. Economy of words is the overriding theme, and I have no problem with this. However, the story is pretty dry and would’ve worked well as a TV episode. (That’s not a compliment.) The inner conflict or motivations of the characters are rarely mentioned and never in a way that allows the reader to care. 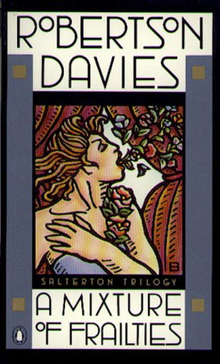 Then there's the third and last novel in Robertson Davies’ The Salterton Trilogy, A Mixture of Frailties. While this isn't his best story (and my least favorite of the trilogy), it’s still very good and better than everything else I read this month. Davies is a true artist, and what he says about critics, music and relationships is beyond insightful; it’s damn well inspired. His characters express our own joys and fears, reminding us of both what we tend to forget and what we’ve always known. You really can’t ask for more than that. 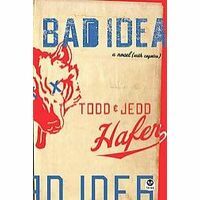 His prose is smooth and don’t intrude on the story, encapsulating what good writing is all about. A good writer and friend once told me that you know it's good writing when you don't even realise you're reading. Davies achieves this. I just can’t decide whether I love him or envy him more.